Errol Thomas, a retired pharmacist and a close friend of Dr. Merlin Kelsick who died last week in a freak accident, says the late doctor was "a genius." Dr. Kelsick, 72, of Wesley who lived at Canefield, went fishing at the Roseau Ferry Terminal on Thursday June 21, 2018 at about 10pm and disappeared. In an official report, the police said around 10:00 pm Kelsick was granted access to the terminal to fish. Periodic checks by port security indicate that he was last seen around 2:00 am on Friday June 22, 2018. Dr. Kelsick's body was found by the Marine Unit submerged in about 20 feet of water alongside the wharf of the Roseau Ferry Terminal. According to Thomas, Dr. Kelsick was a well-rounded medical doctor and who had specialised in about six areas; he just did not want to stop studying. "He was into trauma surgery, vascular surgery, he also scrubbed in cardiac transplant. He was a very intelligent individual who studied for over 13 years. He did not want to leave the university in Chicago; in fact they had to run him away so that he could go and make a living," Thomas said. 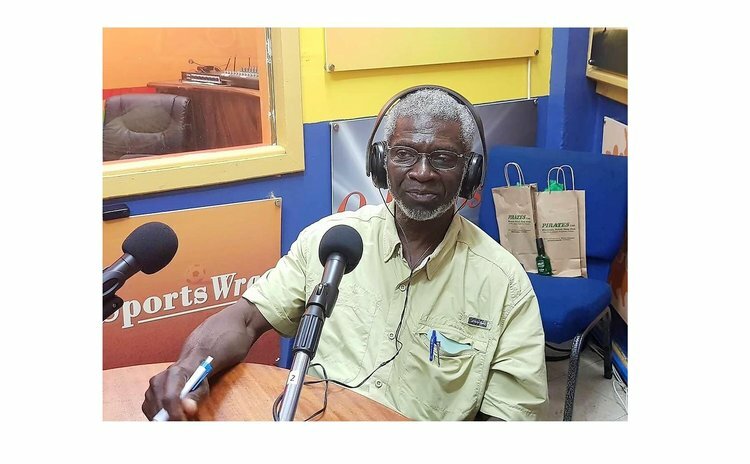 In an exclusive interview with the SUN at Dr. Kelsick's office in Canefield, Thomas said doctor came back to Dominica to help treat his dad. "That is how we met. I was Chief Pharmacist at the Princess Margaret Hospital and he said to me, 'boy, you are different from the rest' and since then we became very close friends," he said. Thomas continued: "He made several offers to the Government but they didn't take it so, through the prime minister he got access to the theatre to do surgery. I have always been his personal advisor from day one and we were supposed to have a business together, he doing the medical part and I doing the pharmacy; we were just waiting for a suitable location. We had already brought in three containers of equipment and then this unfortunate incident resulting in his death. Every letter he wrote he would have me vet it and the final determination was based on my advice to him. "He loved fishing and he went fishing and unfortunately fell into the water. His intention was always to assist Dominicans and although some people found him pricy when he sees a patient is not less than two hours; he was very comprehensive. He practiced American standards and he was very thorough and had to maintain his standards. He was a genius and intellectual and took time to diagnose his patients and that was excellent… He was smart, he was my doctor and lived with me, and I think it's only me he knew in Dominica. "We normally fish together and his death took me by surprise but he always used to say 'boy, boy, boy; If I ever fall in that water I will not come back'. He can swim since he taught his son to swim, his only son. All his life has been in a theater so fishing has been his passion and relaxation," Thomas said. Dr. Kelsick, he added, was not bothered about anything. "He was simple…I did chemistry in school and I don't remember what he remembers. He was a genius and an intelligent doctor." Leon LeBlanc, another personal friend, described Dr. Kelsick as "a perfect companion". "In the evening he would be organizing his fishing lines and by 9-10pm he disappears until 4:30am and then to his office. He was always in his office on time to see his patients. He was personal with his patients. He was different in every possible way: humble, caring, loving and down to earth," Leblanc said. A sign on Dr. Kelsick's office door on the compound of Lericon Printers reads: Merlin Kelsick, MD specializing in general vascular cardiothoracic and pediatric surgery with interest in diabetes and hypertension.